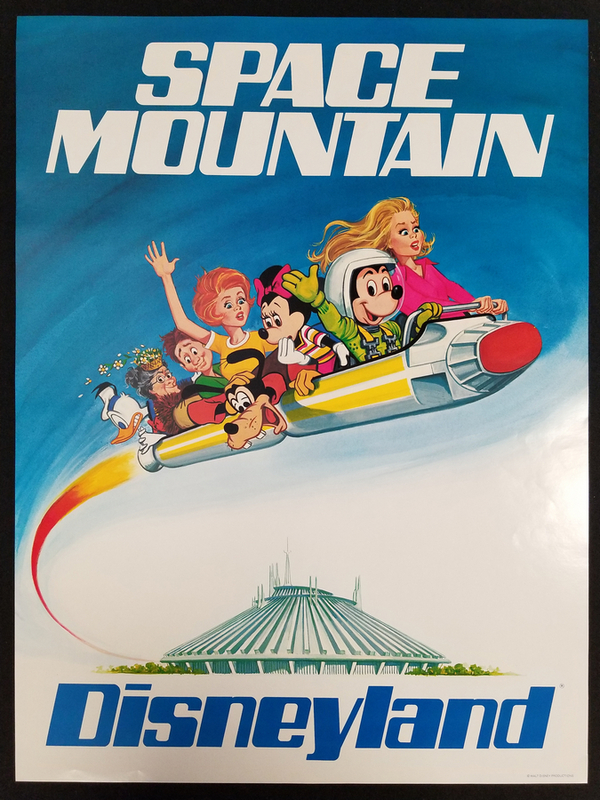 This is a unqiue promotional poster for "Space Mountain" at Disneyland from 1977. 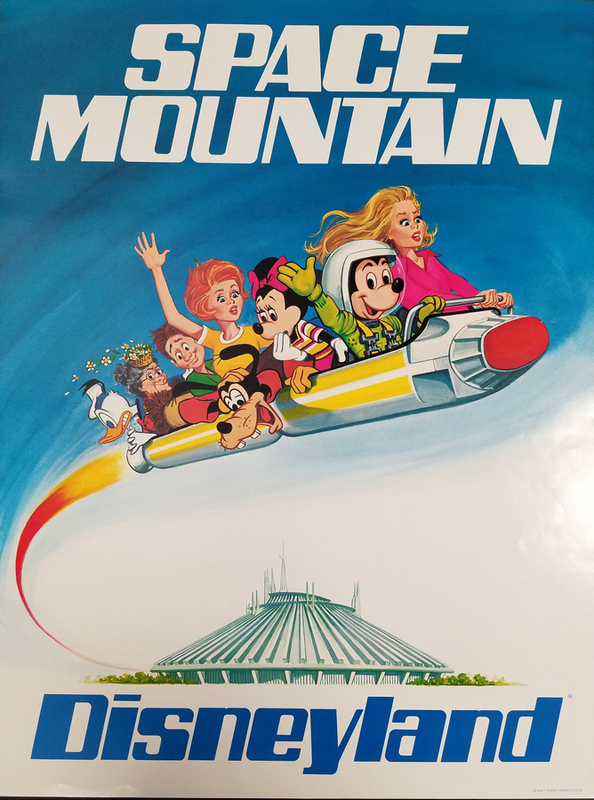 This poster was created to promote the attraction during its opening year, and features a mix of Disney animated characters and characters from live action Disney properties such as "Freaky Friday", which also debuted that year. The poster measures 24" x 18" and is in very good condition.